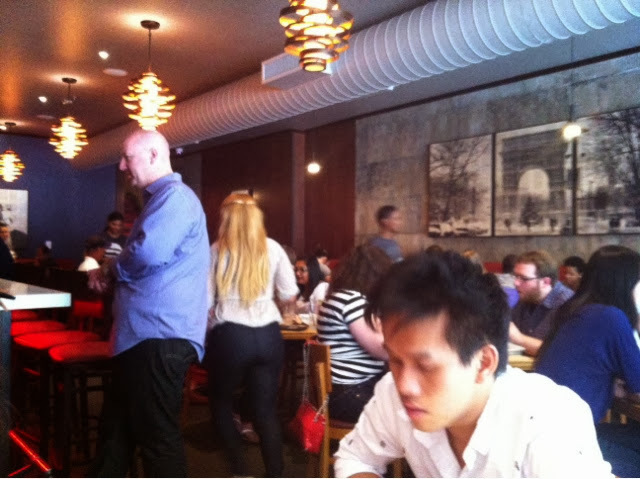 Besides the irritating hostess who did not want me to sit in the front part of the restaurant but in the back where it was dark where I can't take good photos, my good experience at Umami was enjoyable because of the food. My waitress was good and polite. 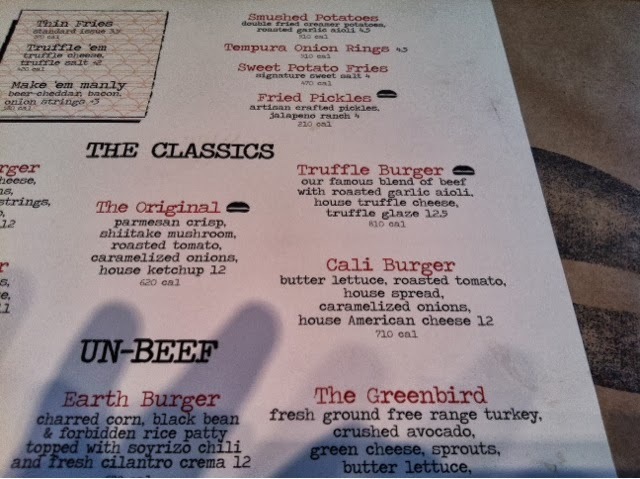 I admit it must be the best burger I've ever had in the city. 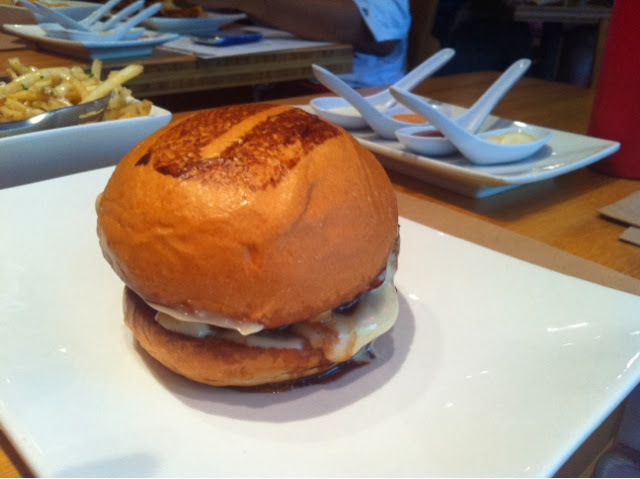 The bun is soft and actually thin when you hold it. Mostly air. Sooo good! 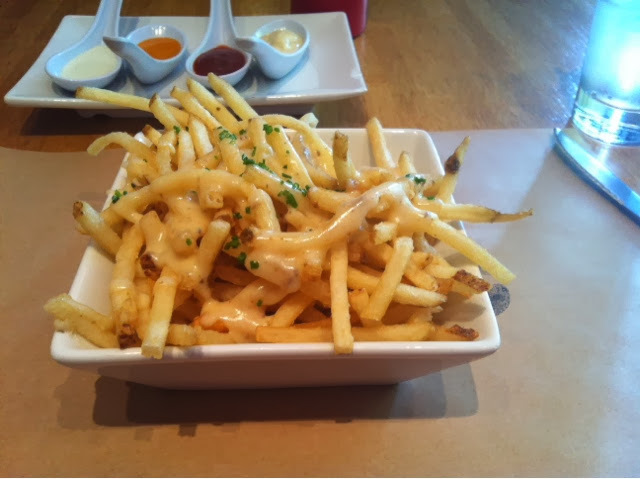 You might as well try their crispy thin fries with truffled cheese above. 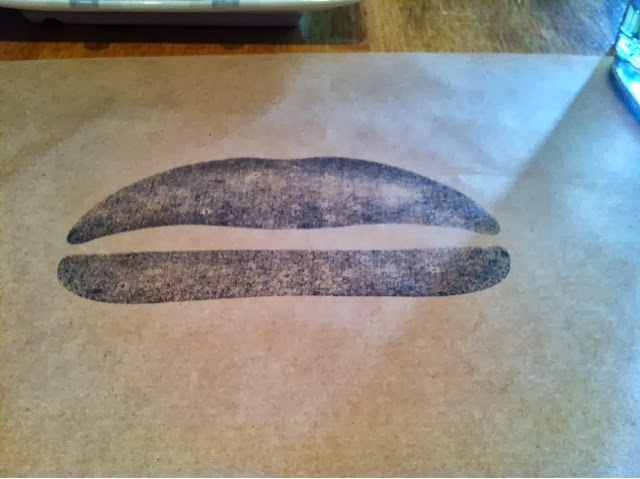 Clever paper placemat - looks like lips but I think it's hamburger! 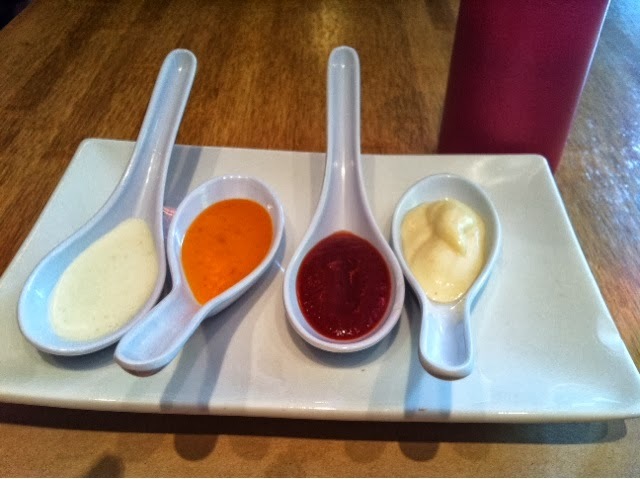 SMACK right in delectable! 'Just want to mention that when she sat me in the back, I called her attention to please let me sit in front so I can take good photos. She first hesitated until I said, I had a food blog. I couldn't understand why she couldn't sit me upfront for the same table for 2 in the back when there were many vacant chairs - at 3:45PM.